I’ve been trying to come up with some amazing first sentence that draws you in and keeps you wanting to read more. I’ve also been enjoying the spoils of a long day’s work (hint: it involves real hot toddys), so I haven’t been able to come up with anything, so let’s pretend I said something really enrapturing and you can’t wait to read on about hot toddys, caramel popcorn, and a little bakery/bar in New York. 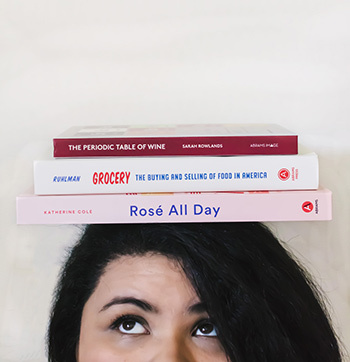 So, I was recently invited by ABRAMS, the publisher, to review a selection of their cookbooks (all unpaid of course, but I did get the books to review for free!). And the one book they recently gave me that I was the most excited about was Butter & Scotch. Buter & Scotch is actually a bar and bakery. Yes, you read that right. A bar and bakery. They are in Brooklyn, NY anddddd they even have an online shop and can deliver within the U.S. Sadly, you can’t order cocktails to be delivered. I checked. Anyway, they have an incredible bar, and desserts that are rich, decadent, and often very boozy. Their cookbook is a definite reflection of that. They share a lot of their signature drinks, plus a few extras. They also include cocktail and dessert pairings and many of their desserts are directly influenced by their best cocktails. I mean, a negroni pie? Mind freaking blown. They also have a selection of caramel popcorn flavors that are cocktail-inspired. The one that drew me in the most was the hot toddy caramel popcorn. I’ve been obsessed with hot toddys for a couple of years and eating hot toddy caramel popcorn is the best thing I have ever done. The flavors are so warm and inviting. It isn’t overpowered by the taste of bourbon. 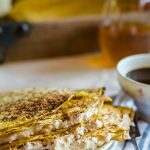 Instead it plays nicely with the honey and spices. I was most surprised by the saltiness. It isn’t labeled as a salted caramel, but it certainly is. 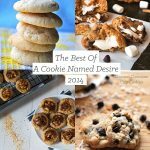 I love that it adds more depth and the salty sweetness makes it so irresistible. 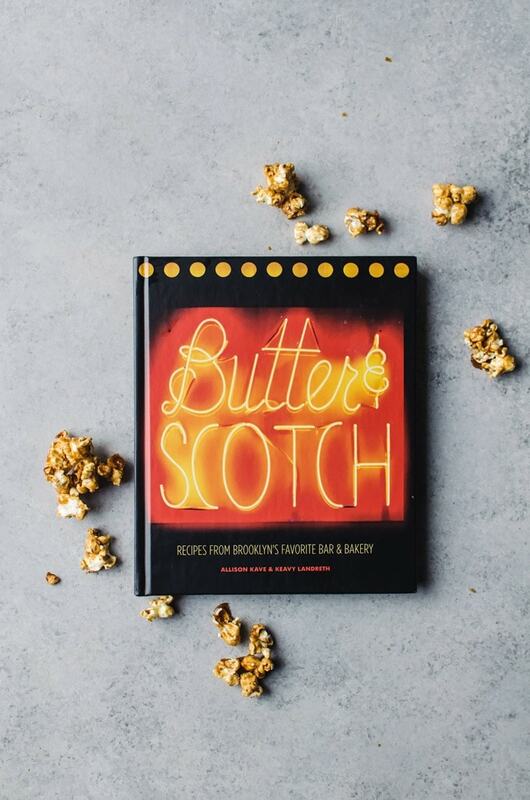 If you are into delicious cocktails and cocktail inspired desserts, I don’t think there is a book that you will love more that Butter & Scotch. 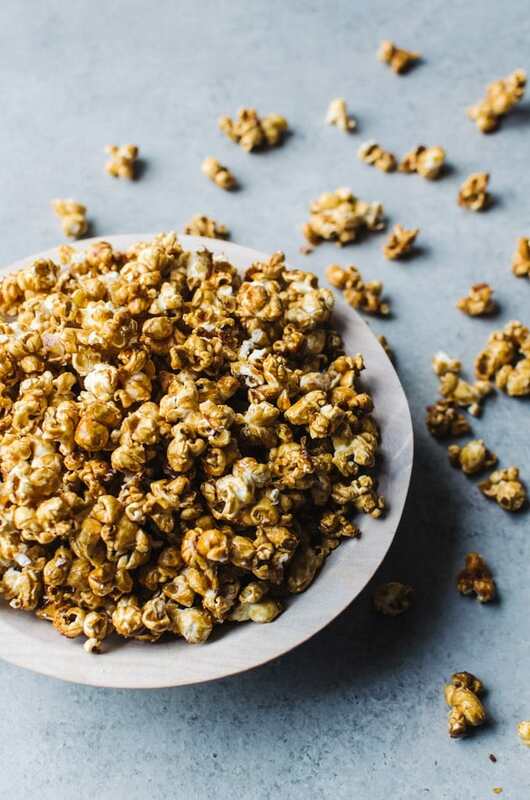 This hot toddy caramel popcorn is your new favorite fall snack recipe. 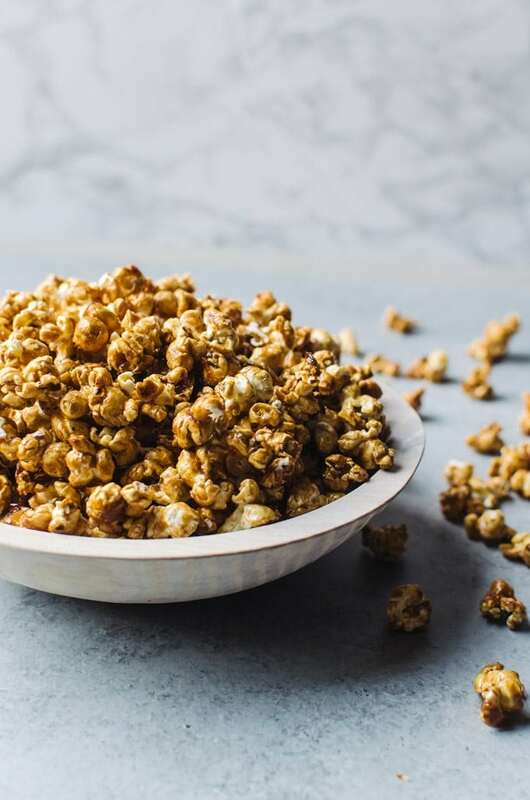 Irresistible caramel popcorn with a cozy (and boozy!) twist. Preheat the oven to 325 degrees F. Grease two baking sheets. Add the sugar, butter, and honey together in a very large, heavy pot. Stir until the butter is melted and the ingredients are well mixed together. Cook without stirring, until the mixture is a medium amber color. You can clean away any sugar crystals on the side of the pot with a wet pastry brush. Once it reaches the amber color, immediately remove from heat. Whisk in the baking soda, then immediately whisk in the bourbon, lemon zest, salt, and cinnamon. Stir well, but carefully as the mixture will bubble and sputter a lot. Sometimes I like to wear an oven mitt on my stirring hand for extra protection. Add in the popcorn, mixing well to evenly distribute the caramel onto the popcorn. I recommend using two heatproof spatulas to do the job. 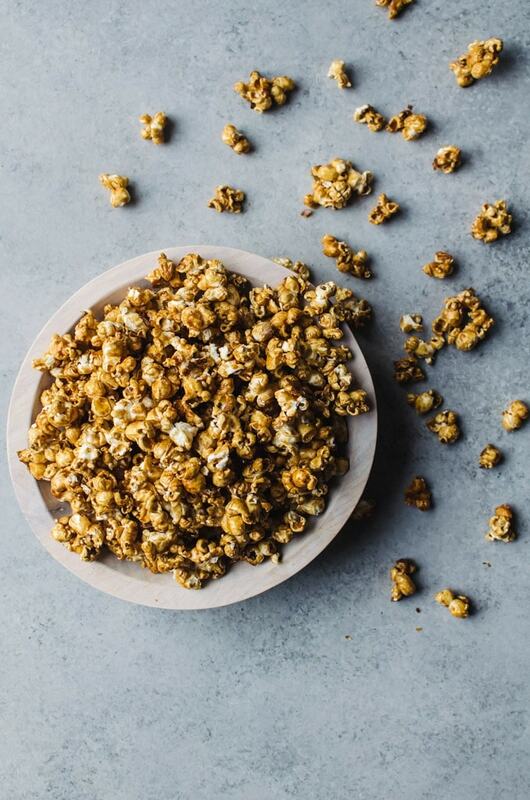 Spread the popcorn on both baking sheets in a single layer. Bake for 20 minutes, stirring every 10 minutes. Store in an airtight bag for up to five weeks. I received this cookbook from ABRAMS for free to review. All thoughts and opinions are entirely my own! Send that bowl my way Amanda! I’m a HUGE caramel popcorn fan and your recipe sounds delicious!! Now this sounds like my kind of snack! This popcorn sounds incredible! Cocktail inspired popcorn?! I’m checking out this place ASAP. 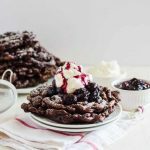 Yes, I think you would love them! I love their cocktail/dessert options the best like a pb cookie with a grape cocktail – genius!